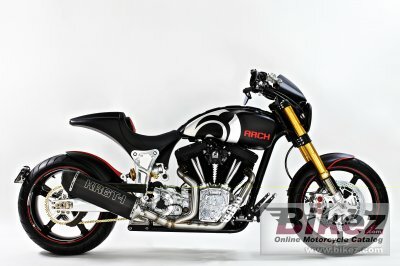 2018 Arch KRGT-1. Picture credits - Arch. Submit more pictures. The KRGT-1 is a custom production American performance cruiser. Designed to be ridden aggressively while also being comfortable for long distances. 2018 improvements include design enhancements to the bodywork, updated front suspension and brakes. Each KRGT-1 is custom tailored to provide personalized ergonomics and curated fit and finishes, making every motorcycle unique to its owner. Ask questions Join the 18 Arch KRGT-1 discussion group or the general Arch discussion group. Bikez has discussion forums for every bike. View comments, questions and answers at the 2018 Arch KRGT-1 discussion group. You can sign up for e-mail notifications when other riders answer you. If you have extensive experience with the MC, please send us a review. If you consider buying this bike, you should view the list of related motorbikes Look at photos. Compare technical specs. And check out the rating of the bike's engine performance, reliability, repair costs, etc. You can compare the rating with other bikes.